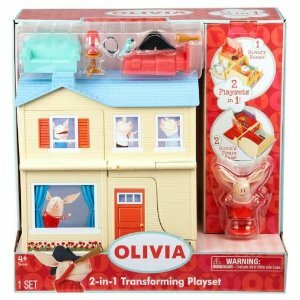 This Olivia playset is more than a doll house; it is a transforming dollhouse that changes from house to pirate ship. Nearly two dozen accessories and a sheet of decorative stickers provide plenty of material for decoration. The rest is supplied by your imagination.